Mathematical anxiety consumes a significant number of children – and even some adults. For many, math may not cause extreme anxiety, but all of the numbers, symbols, and problems can seem extremely intimidating. 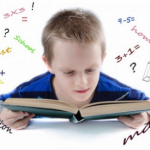 When children find math intimidating, they often fail to build crucial math skills, causing them to struggle with math for the rest of their lives. Thankfully, parents and teachers can take steps to help make this subject less intimidating and help children build those important basic math skills. 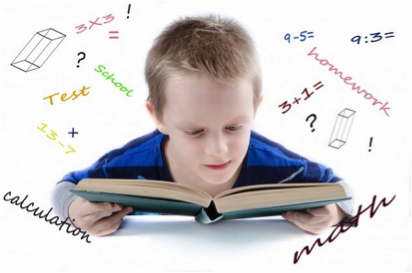 Unfortunately, in the world of high stakes testing, learning math becomes a big deal. However, when parents and teachers present it as a big deal, it can really stress children out. While we want children to know why math is important, we don’t want them to think they’ll never survive if they don’t grasp the basic skills. Instead of forcing math on children, let them work on it naturally and take breaks when they feel overwhelmed. To keep math from becoming a big deal, you want to avoid drill and kill methods. Then again, you still want to provide children with plenty of opportunities to practice their skills. The key is to keep the stakes low. Instead of constantly testing what they know, let them practice solving problems in a setting where there’s nothing to lose. This will help build their confidence and lower their stress so they can perform better. Sometimes the intimidation simply comes because of the language barrier between children and mathematics. All of those special words and symbols can confuse children. Instead of just teaching them how to add, subtract, multiply, and divide, make sure they know the language that goes along with it. What’s a sum? A product? A remainder? Knowing these terms will help them feel better when they approach math problems. Not all children learn in the same way. For some the logical thinking involved in mathematics works perfectly with their brains. For others, it causes a lot of confusion. When kids see what’s happening as they solve a problem, they begin to understand it better. Use objects to represent the numbers in the problem or incorporate videos into math instruction. Some of children’s favorite character shows, such as Sesame Street, and other educators have created math videos designed to help children learn about math in a fun way. Bringing math into everyday activities also helps it feel less intimidating. In fact, most of the time children won’t realize they’re using math at all. You can count objects as you walk around the house, measure as you bake, or even count change to see if you have enough to buy a special toy at the store. Games such as Papa’s Pizzeria and Papa’s Cupcakeria also help children connect math to everyday activities. Games that focus specifically on math can also help make math less intimidating. Rather than seeing the difficult math problems, children can focus on the objective of the game and have fun while solving problems. For example, in Jumping Chicks, children focus so hard on getting the chicks to the correct lily pad that they forget they’re counting at the same time. In Dolphin Feed, the math involves adding coins, but their focus lies on earning fish to feed the dolphins. In Bus Driver’s Math children focus on getting the passengers on the bus and making sure they paid enough, not on the addition and subtraction required to complete that task. When it comes to helping children feel less intimidated by math, the goal is to take their mind off the math. Yes, they need to learn to add, subtract, multiply, and divide, but parents and teachers can make that happen without them even realizing it. For example, children may say they cannot divide, but successfully split a dozen cookies among their friends. Once they have demonstrated that they can complete a skill, parents and teachers can point out the math behind it.